Something to Muse About: THE DRESSMAKER is available on Amazon Prime Video TODAY!! THE DRESSMAKER is available on Amazon Prime Video TODAY!! Amazon Studios Original Film THE DRESSMAKER is available on Amazon Prime Video TODAY!! 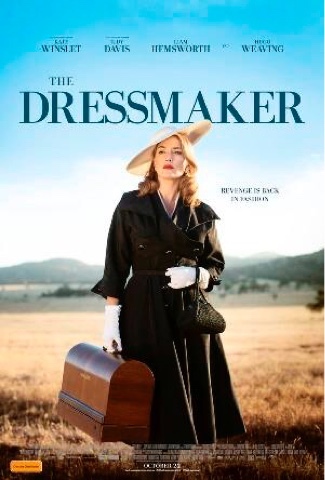 Not available on any other subscription services, The Dressmaker will be available for Prime members to stream and enjoy using the Amazon Video app for TVs, connected devices including Amazon Fire TV, and mobile devices, or online at Amazon.com/originals, at no additional cost to their membership. Prime members will also be able to download the film to mobile devices for offline viewing.The Dressmaker joins Prime Video’s line-up of award-winning and critically acclaimed Original Series and Movies—to see more originals available exclusively for Prime members visit www.amazon.com/originals. In addition to Prime Video, the Prime membership includes unlimited Free Two-Day Shipping on millions of items across all categories, more than one million songs and thousands of playlists and stations with Prime Music, early access to select Lightning Deals all year long, free secure, unlimited photo storage in Amazon Cloud Drive with Prime Photos, one free pre-released book a month with Kindle First, and more. To sign up for Prime or to find out more, visit:www.amazon.com/prime.